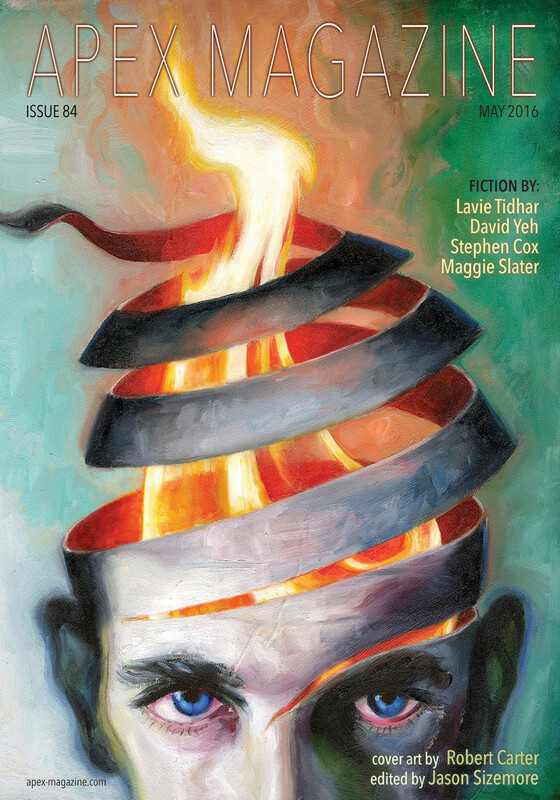 Apex Magazine Issue 84 includes original fiction by Stephen Cox (“1957”), David K. Yeh (“Cottage Country”), and Maggie Slater (“The Behemoth Beaches”). There is a reprint by Lavie Tidhar, and an excerpt from Chris Bucholz’s upcoming novel Freeze/Thaw. Poetry editor Bianca Spriggs has selected four poems for the issue, written by FJ Bergmann, Ken Poyner, Janna Layton, and Christina Sng. The entire issue will be released over the month on the Apex Magazine website – see the release dates below — or can be purchased for only $2.99 as a nicely formatted eBook. Subscriptions are also available direct from Apex, Weightless Books, and Amazon. This entry was posted in Like Show Business and tagged Apex Magazine by Mike Glyer. Bookmark the permalink.